Muong Hoa is one of the most famous destination for breathtaking scenery and is the largest farmland for rice growing in Sa Pa. It is far from town about 14 kilometers. Going to visit Muong Hoa, you can trek along Muong Hoa River sneaking through the valley nearby Sa Pa town. 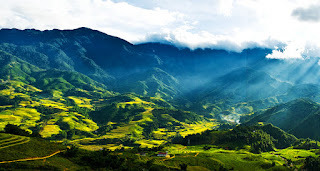 This valley lies between two high ranges of mountains running in parallel south-east of Sa Pa town. On the way, you can learn more about how is the rice cultivating. From the highest elevation of the mountain range covered by endless forest, rain water follows dozens of streams downhill to the floor forming the Muong Hoa, which follows across the small town and rice fields of the ethnic minority people of H’Mong, Dao and many others. They has been working on the slopping land and living their own ways for hundereds years. 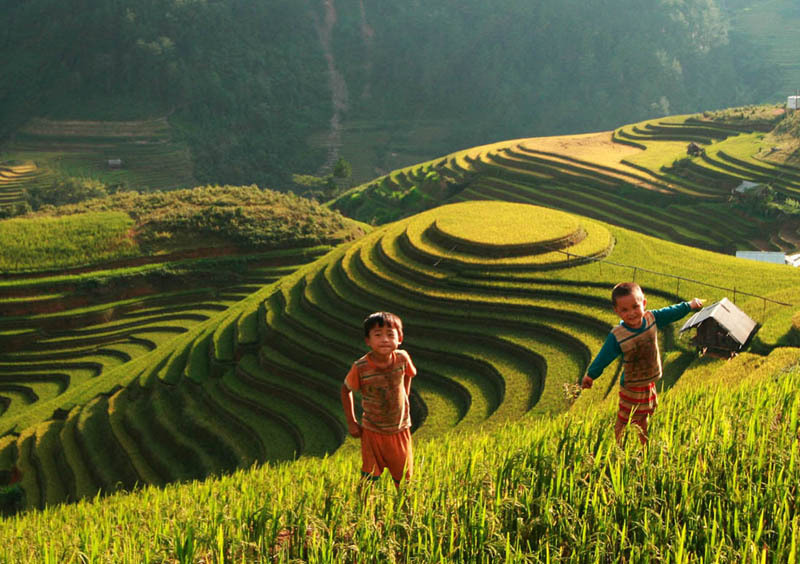 Visiting Muong Hoa Valley, you will enjoy an easy walk downhill and along Muong Hoa River, through terraced fields passing some hamlets of the H’Mong people as Y Linh Ho, Lao Chai…, watching locals at work. The night you spend in Ta Van village. 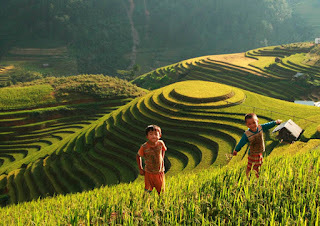 The unique village in Sa Pa area where Giay minority live, will be an excellent and remarkable experience.